Sorry... the 2016 BMW 335 Gran Turismo is no longer being sold as new. BMW's compact 3 Series is the luxury automaker's bread-and-butter model. It's available as a sedan, Gran Turismo hatchback or wagon. Numerous drivetrains are offered, including a diesel version. 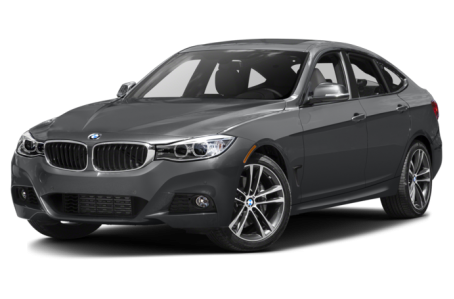 The five-seat 3 Series comes with rear- or all-wheel drive and competes with the Audi A4, Cadillac ATS and Mercedes-Benz C-Class. The sedan and Sport Wagon body styles of the 3 Series gain mild styling updates, suspension and steering revisions, and new features, including available LED headights. There's a new 340i sedan powered by a 320-horsepower six-cylinder engine, and the available navigation system supports over-the-air map updates. An available Track Handling Package for gas-powered models features variable sport steering, an adaptive suspension, sport brakes with high-temperature pads and gray 18-inch light-alloy wheels.